While I have been trying to keep all the new 60th Celebration designs organized and up to date Disney released another new machine. But this machine isn’t part of the 60th Celebration. 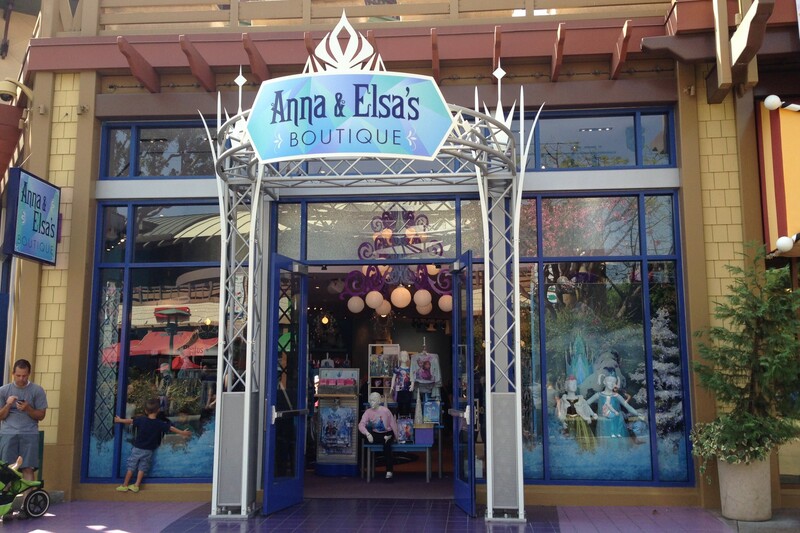 Instead it’s part of a new store in Downtown Disney called Anna & Elsa’s Boutique and as you can probably guess is all about the movie Frozen. This place is supposed to be a Frozen fans wonderland, with everything you could image from the movie. They also have a Frozen makeover similar to the Bibbidi Bobbidi Boutique makeovers already available. As much as I love the Frozen movie I was honestly more interested in the new penny machine that was made available here. There are 3 designs: Elsa, Olaf, and Anna & Elsa surrounded by snowflakes. 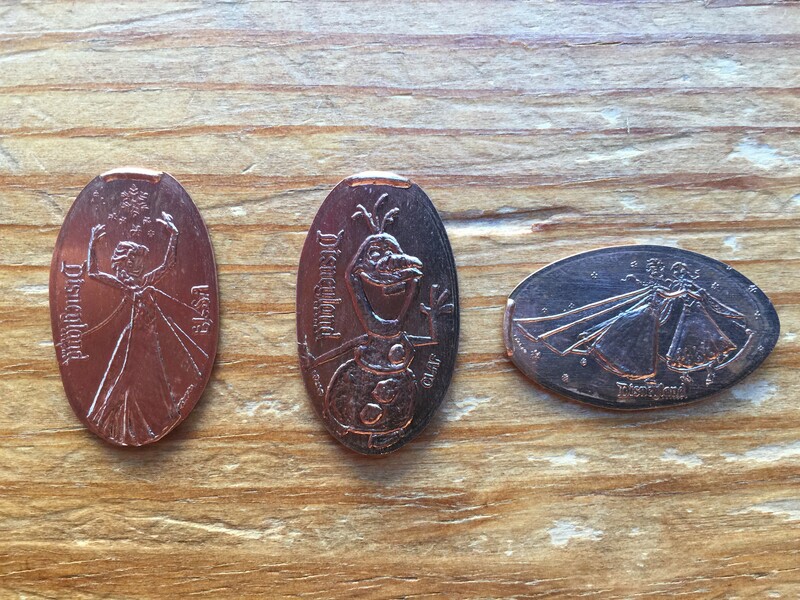 I’m amazed at how they keep coming up with new Frozen themed penny designs, but I’m sure there are plenty more to come. So if you’re in the Anaheim area and in need of a Frozen fix be sure to check out this new Boutique and don’t forget to press some pennies on the way out.